When you�re looking for heating, ventilation, and air conditioning services, also known as HVAC services, choosing the right company can be tricky. You want a contractor you can trust, and rely on. That�s why today we�re going to share a list of tips to help you choose the right HVAC contractor for you. Businesses accredited by the BBB have to meet certain quality standards to qualify, which include "a commitment to make a good faith effort to resolve any consumer complaints.� The BBB also gives the business a rating on a scale of A+ to F based on the number of complaints, and how they were handled by the business. You�ll want to choose a company with a low volume of complaints, a good rating, and that is noted by the BBB to have made efforts to resolve any complaints that may exist. Call at least 3 different companies directly to compare warranties and pricing. You can also ask them about their policies when working in homes on repairs and installations, and what protocol they follow if accidental damages are caused during work. It�s also a good idea to compare maintenance agreements; their duration, and what the parts and labour coverage would be. 3. Don�t always pick the lowest bidder. Sometimes, a lower price doesn't always mean it should be your first choice. Paying a little bit more will often result in better equipment and service from your chosen company. If there are huge discrepancies in price from one company to another, ask them why their prices are set that way. For example, higher prices can indicate better quality of equipment, training of technicians, and above average maintenance agreements. 4. Check how long the company has been in business. If a company has been around for a longer period of time, it usually indicates that they are well established, familiar with their service area, knowledgeable about the needs of their client base, and have very capable and skilled technicians with many years of experience. 5. How much experience do their technicians have? Ask the company how many years of experience their technicians have. You�ll want to hire a company with technicians who each have at least two years of experience so you know you�re getting expert service you can trust. 6. Do the technicians receive ongoing training? The heating and cooling industry is constantly changing, and it�s important that training doesn�t stop once a technician is hired. Ongoing changes within the industry mean that continued training after hire is essential to ensuring safe and quality work. 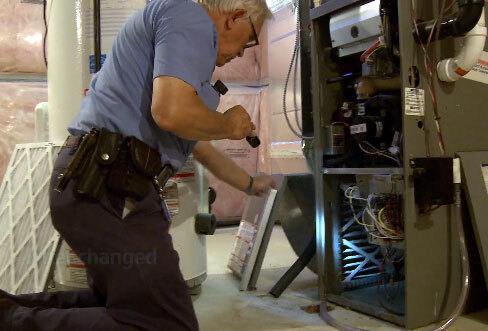 Whether it�s changing regulations for installations, or learning how to repair and service newer furnace models as they�re released into the market the changes are constant, and ongoing training is a must for any reliable HVAC company.